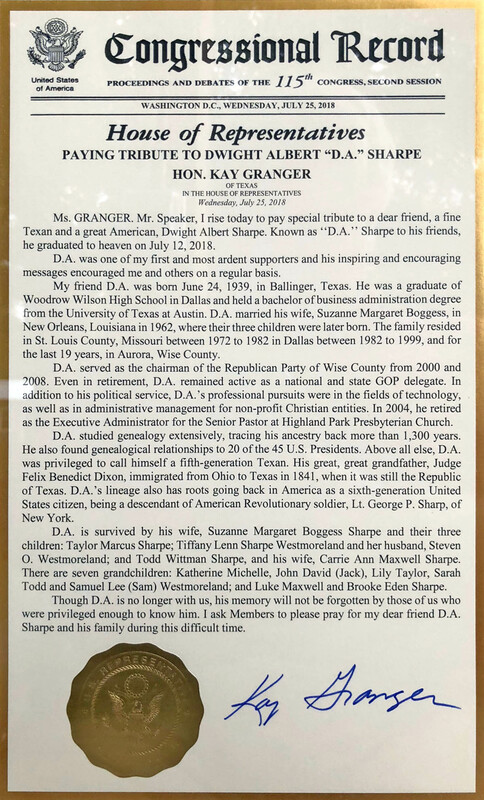 Celebration of Life Service: We celebrated the life of DA Sharpe on Saturday, August 11th, at 10am, at his and Suzanne's house. This was a casual rememberance held outside. D.A. wanted this to be a celebration of life, so avoid dressing up or wearing black. We concluded with a lunch cookout. The Hon. 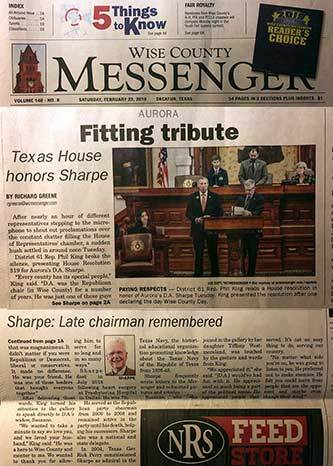 Kay Granger, US Congress House of Representatives Member from the Great State of Texas, paid tribute to D.A. Sharpe in the official Congressional Record, on July 25, 2018. 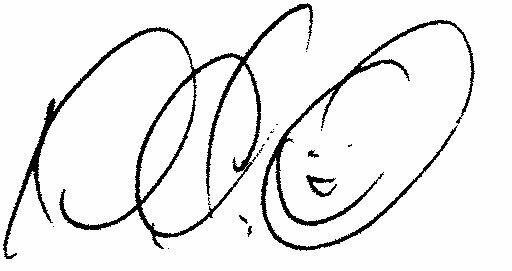 You can view a JPG image of it or an Acrobat PDF of the record or you can go to the Congressional Record online to view it. 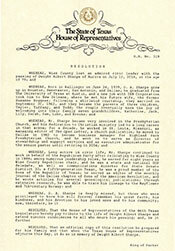 The Senate of the State of Texas, through Proclammation No. 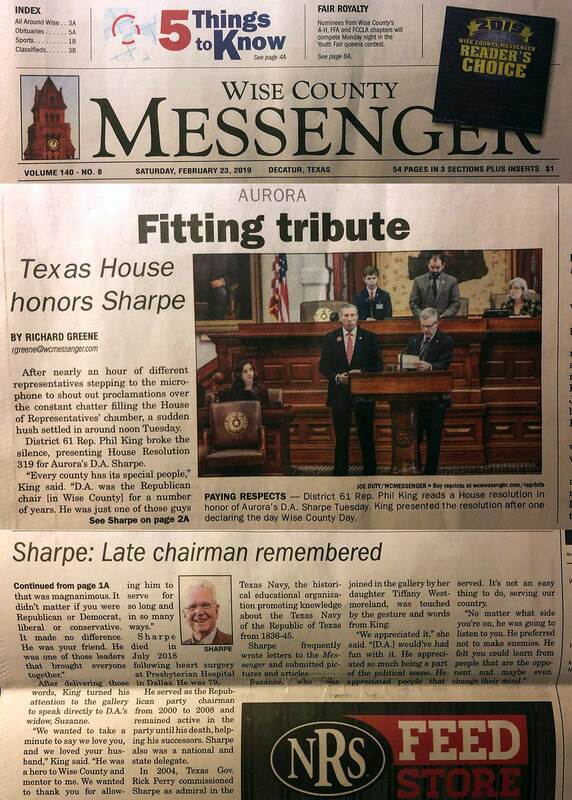 836 from Senator Craig Estes' office JPG image or Acrobat PDF, has paid tribute to the life of DA Sharpe. 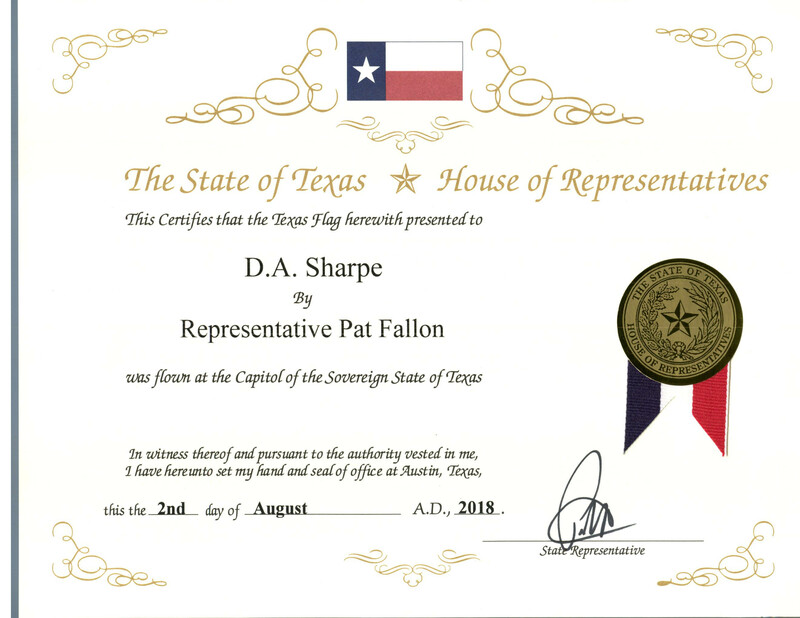 Representative Pat Fallon, Member of the State of Texas, published a resolution for DA Sharpe (JPG image), and arranged for flag (JPG image) to be flown in his honor over the Texas Capitol on August 2, 2018. WC Messenger article about D.A. citing his political activities. 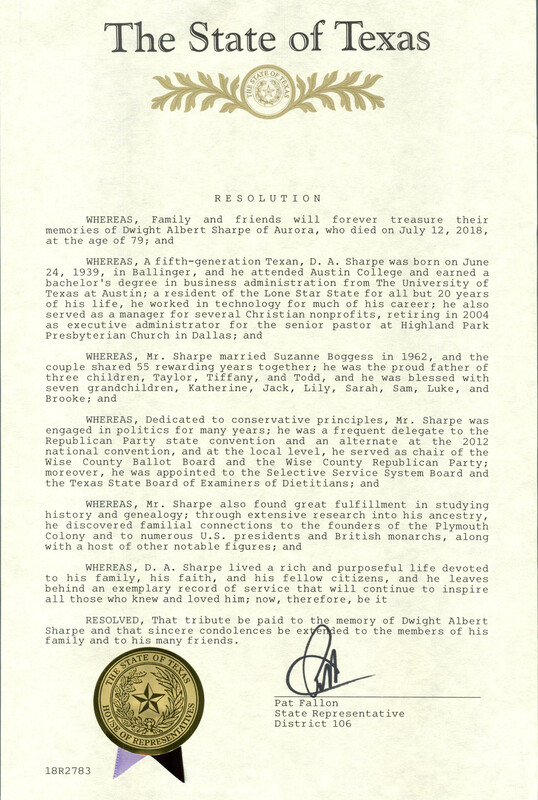 February 19, 2019: Texas House Bill 319 by Rep. Phil King regarding the legacy of DA Sharpe. Dwight Albert (D. A.) Sharpe graduated to Heaven on July 12, 2018, after heart surgery at Presbyterian Hospital in Dallas, Texas. A memorial service was held August 11th. Interment of the cremated remains is at the Greenwood Cemetery, 3100 White Settlement Road, Fort Worth, Texas, in the Benediction 35 section of the cemetery. 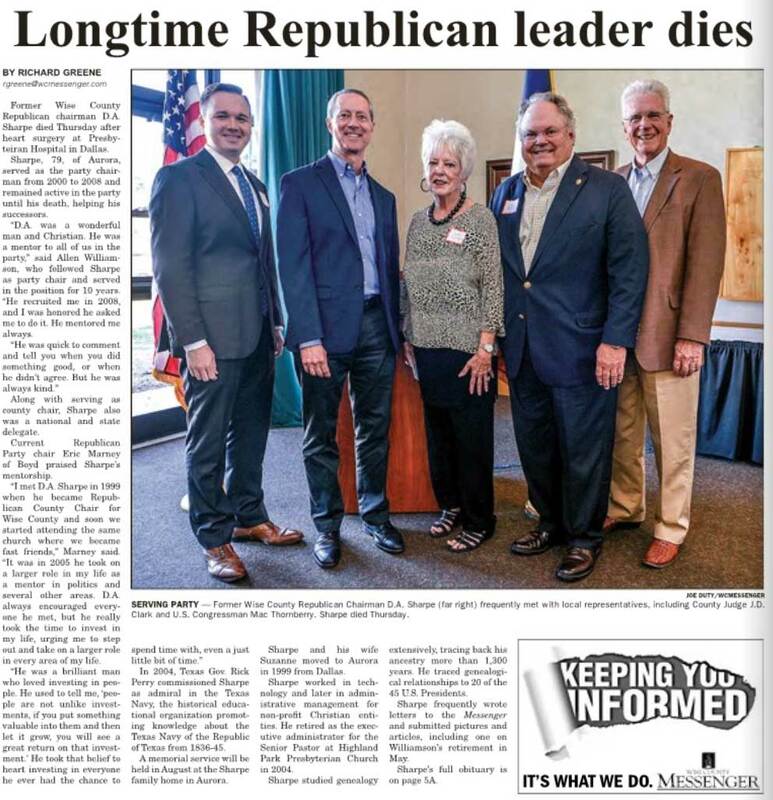 Mr. Sharpe is survived by his wife, Suzanne Margaret Boggess Sharpe, who he married September 30, 1962, and their three children: Taylor Marcus Sharpe; Tiffany Lenn Sharpe Westmoreland and her husband, Steve O. Westmoreland; and Todd Wittman Sharpe, and his wife, Carrie Ann Maxwell Sharpe. There are seven grandchildren: Katherine Michelle, John David (Jack), Lily Taylor, Sarah Todd and Samuel Lee (Sam) Westmoreland; and Luke Maxwell and Brooke Eden Sharpe. Mr. Sharpe was born June 24, 1939, in Ballinger, Texas. Growing up with his parental household, they lived also in Houston, Sweetwater, Dallas and San Antonio. He graduated from Woodrow Wilson High School, Dallas, Texas. He attended Austin College 1957-59, and the University of Texas at Austin 1959-62, graduating with a BBA degree. His married and family life began in New Orleans, Louisiana in 1962, where their three children were born. The family resided in St. Louis County, Missouri 1972-82, in Dallas, Texas 1982-1999 and in Aurora, Wise County, Texas since then. 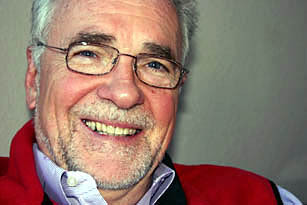 Mr. Sharpe’s professional pursuits were in the fields of technology, as well as in administrative management for non-profit Christian entities, the last from which he retired was as Executive Administrator for the Senior Pastor at Highland Park Presbyterian Church, Dallas, Texas, 1982 – 2004. 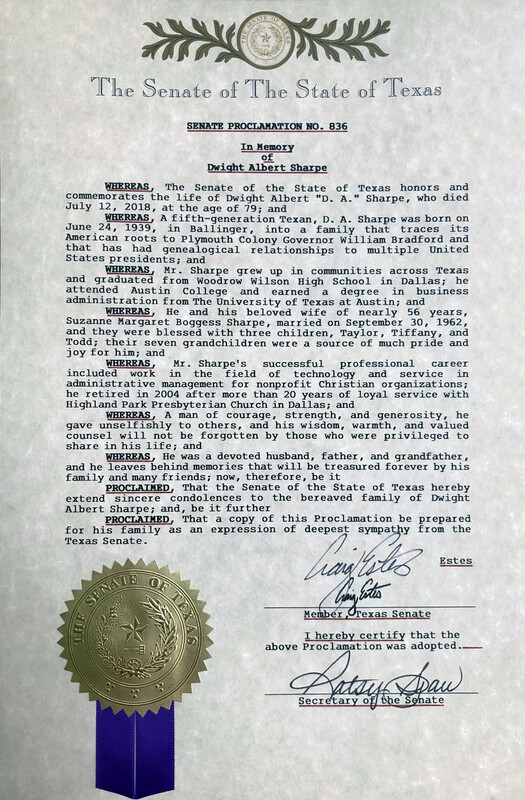 Mr. Sharpe was privileged to be a fifth-generation Texan. His great, great grandfather, Judge Felix Benedict Dixon, immigrated from Ohio to Texas in 1841, when Texas still was the Republic of Texas. Judge Dixon’s parents had come from West Virginia. Mr. Sharpe’s lineage also has roots going back in America as a sixth-generation United States citizen, being a descendant of American Revolutionary soldier, Lt. George P. Sharp, of the New York Militia, his 3rd great grandfather. George’s grandfather, Jacob Scherp, migrated in 1710 to New York Harbor among a group of some 3,000 German Palatines, settling north on the Hudson River, establishing Germantown, NY. Finally, English family connections make Mr. Sharpe a 10th generation American. Plymouth Colony Gov. William Bradford, who came with the Pilgrims on the Mayflower to Boston Harbor, establishing Plymouth Colony in 1620, is Mr. Sharpe’s 7th great grandfather. The historical genealogical roots of his life were of European, English and Scandinavian origins. His direct maternal lineage goes back to a 38th great grandfather, Gor Thorrasson, a 7th century Norwegian Viking who lived in the 600s. Mr. Sharpe had lateral (cousin) genealogical relationships to 20 of the 45 U.S. Presidents. Relationship claim can be made for the first six U.S. Presidents, and all four of the U.S. Presidents sculptured onto Mount Rushmore. The only two father/son pairings of men who were elected President were the John Adams family and the George Bush family, all four of which are cousins to Mr. Sharpe. John Quincy Adams is the only President to serve in Congress after his Presidency. 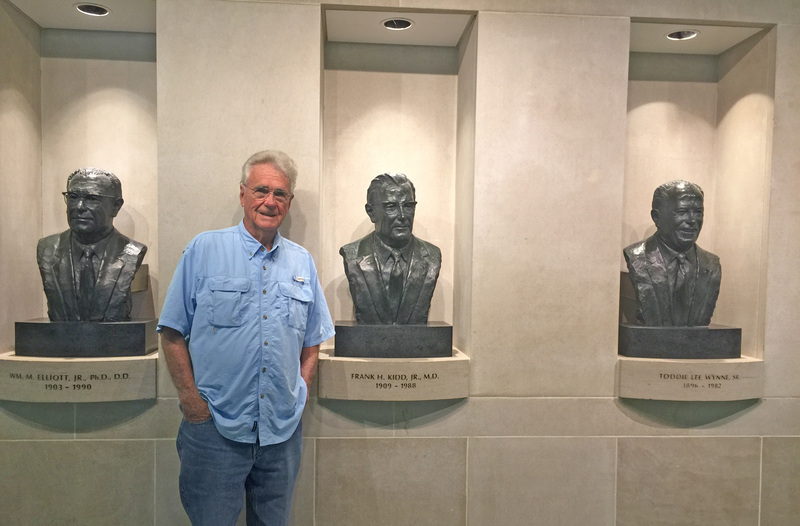 Younger former President Bush visited Mr. Sharpe following Sharpe’s heart surgery in 2012 at Presbyterian Hospital in Dallas, TX. Another Presidential cousin, William Howard Taft, is the only person ever to have served both the office of President and the office of Chief Justice of the Supreme Court. Mr. Sharpe’s family was interwoven with the famed American families of the Rockefellers, the Kelloggs (cereal people), and J. P. Morgan. From 519 AD forward, Mr. Sharpe’s family shows lateral relationships with 63 of the 72 British Monarchs for all but 80 years during those almost 1,500 years. Queen Elizabeth II, who has been English Queen for most of the lives of readers of this obituary today, is Mr. Sharpe’s 33rd cousin. In 591, English King Ceawlin, received Christian Baptism. He is the earliest member of Mr. Sharpe’s family's ancestry that claimed Christianity, over 1,400 years ago. Pope Gregory had sent a missionary from Rome circa 591, named Father Columba. King Ceawlin is the 35th great grandfather of Edward Southworth, a British upper class noble whose first wife was Alice Carpenter. After Edward died, Alice went to the New World, to the Plymouth Colony at the beckoning of the Colony's Governor, William Bradford. For researchers interested in a closer at the Sharpe family genealogies, there is a free online access to Mr. Sharpe’s autobiography. 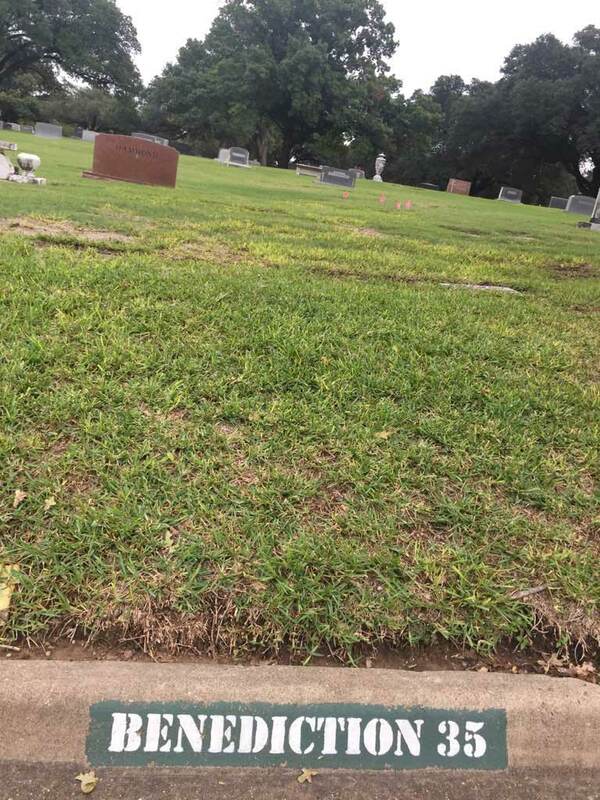 GIFTS:In lieu of flowers or other gifts, it is the family's request to make donations in rememberance of DA Sharpe to OurCalling, which is a non-profit Christian ministry to the homeless in Dallas, Texas. When making a financial donation, you can just put DA Sharpe's name in the memo section of the gift. OurCalling also accepts other forms of gifts from clothing/food to volunteering to help with the homeless. How is our nation's government structured? Folder and open a document "Govern.docx"
What's the Difference Between Halloween and All Saints' Day? Surprisingly, it's a great example of the Prosperity Gospel! Why is Texas so great? Click Here! What is a Texas Navy Admiral? What Does the Biblical Term "1,000 Generations" mean? What is a Southern Girl and GRITS? Is the Peace Symbol Anti-Christian? Here is an Interactive Aerial Map of where the Ranch House is located. Just WHY should we pray for Government? DA's Comments prior to his Open Heart Surgery July 12, 2018, which ultimately resulted in his death later that day.